Experience the Value The re-engineered, cost-effective ROHO MOSAIC cushion is now even better. With a more comfortable fit, you'll enjoy more sitting time while still protecting your skin and soft tissues. Designed For You By always matching your shape and following your movements throughout the day, the MOSAIC cushion is designed for you. Now with more anatomically-designed cell heights and a more effective, controlled air flow, you can sit longer, with less pain, knowing you have proven ROHO air-cell-based technology supporting you. Proven Protection The innovative design of the MOSAIC cushion allows you to sink comfortably into it, shaping to the unique contours of your body. Available in an expanded range of sizes to better fit your seating surface, MOSAIC provides basic preventative skin and soft tissue protection at an affordable price. Inflation Instruction: 1. Unplug the pore on the back of seat cushion and open the plug. 2. Insert the provided pump into it to inflate. Adjust the inflation extent according to your demand. NOTE: There is a blocked piece in the pore to prevent leaking. 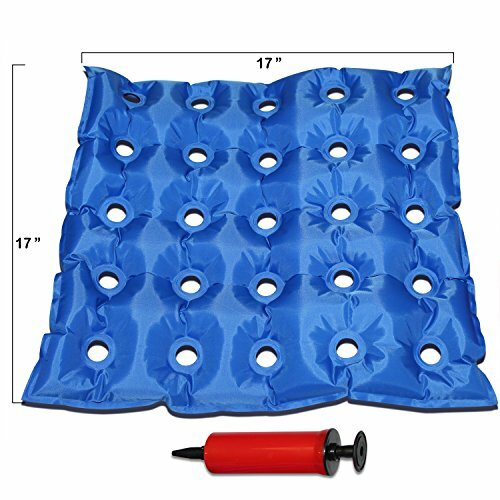 You need to insert the pump and push open this piece to inflate air into the cushion. The color of pump may vary at random. 3. Pinch the pore and slowly pull out the pump so that the blocked piece will close to prevent leaking. 4.Then plug the pore tightly and press the plug in until it contracts back to original position. Attention: 1.When seat cushion is used and collected, avoid touching and rubbing it with sharp objects. 2.It is prohibited to expose the product near high temperature which may cause material damage. 3.Please check whether the air pore is closed tightly when it appears air leakage. 4.The bearing weight of this seat cushion is recommended to be within 275lb/125kg. 5.This product is not suitable for water filling usage. Specifications: Color: Black, Gray Size: approx. 18" X 16" Maximum bearing weight: 275 lb Package Includes: 1 x Air seat cushion. 1 x Pump. 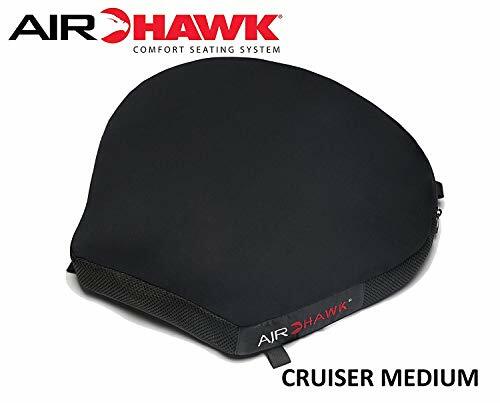 AIRHAWK MEDIUM CRUISER CUSHION SEAT Unique inflatable, multi-cell air pad made in polyurethane, cover in stretchable fabric on top, breathable mesh sides and non skid material on bottom. Cruiser straps included. Measures 14" L X 14" W. Sit and Ride more hours. AIRHAWK is known for its DOUBLE-YOUR-SIT-TIME guarantee, based on our patented Air Cell Technology built into every seat overlay cushion. 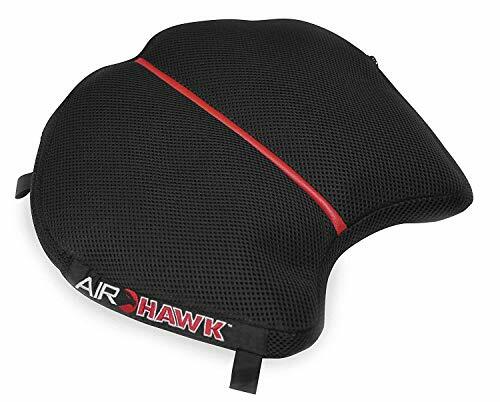 AIRHAWK's motorcycle seat cushions provide unsurpassed comfort during long rides. Proudly made in the USA, our scientifically proven designs distribute your weight and pressure over the entire seating area, reducing the "hot spots" that cause aches and pains. Finally! A Comfortable Seating Solution! About the Product - Air Seat Innovations Comfort Cushion is great for those who drive or sit in office chairs for extended periods of time. - Built to last!! 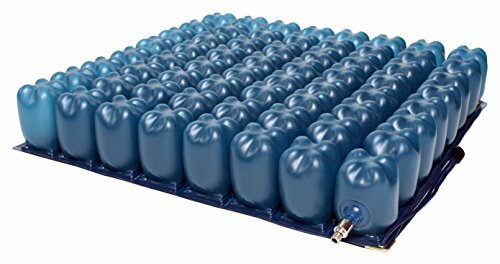 - Dynamic air cells - Won't harden or compress like gel or foam cushions. - Contour alternating height air cells allow for a custom fit. Allows users to Sit Without Pain, Numbness, or Fatigue. Patented Shape Fitting Technology is designed to perfectly match body, shape and contour. By distributing pressure over the seated area, blood flow is enhanced achieving your precise level of comfort. This patented and proven dynamic comfort system, has improved the quality of life by providing comfort and protection, whether in a wheelchair or in sitting in an office. 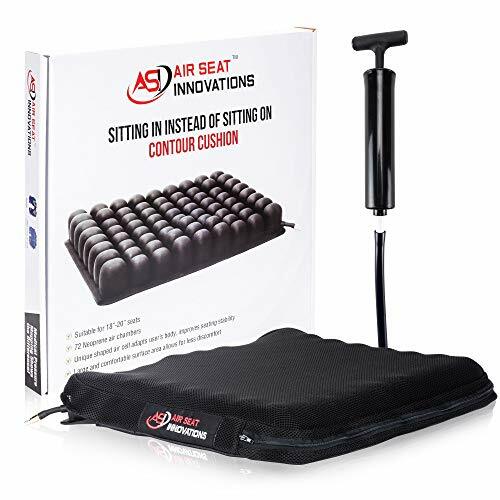 Reduces the Risk of sitting Related Injuries - Absorbs shock and vibration. - Non skid base is easy to clean and durable - Cushion cover is machine washable. 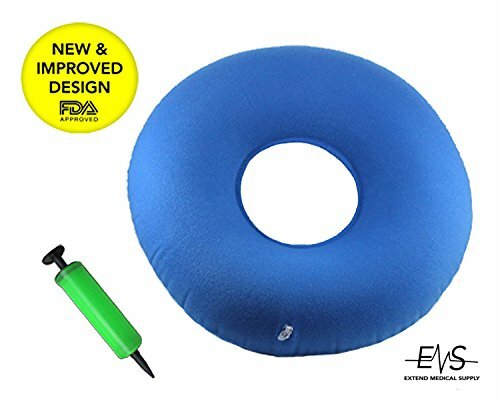 - 18"X16" Cell height: 2.4" ( 6cm) fully inflated due to the required immersion of the user in the cushion, it will raise the user only 1/2″ above the seat Better your life! Click the add to cart button at the top of the page now! 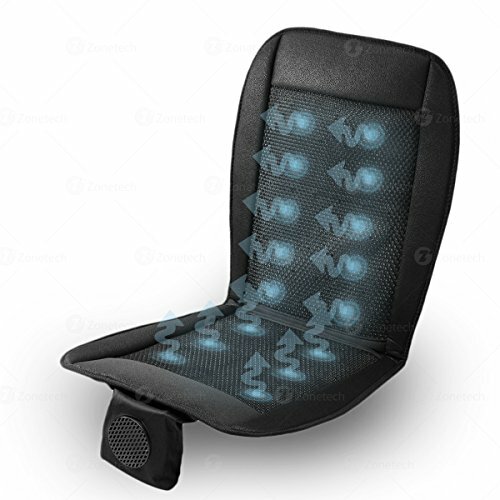 This Item Includes One (1) Gel Seat Cushion with Cooling Vents. 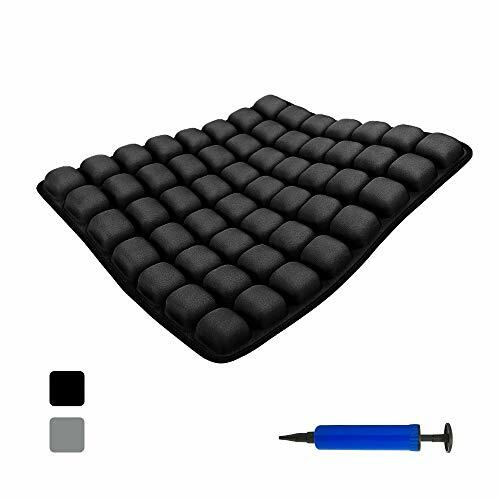 Product Description: This orthopedic cool gel seat cushion with cooling vents is a pressure-reducing seat for wheelchair, office chair, car, plane and home chair etc. 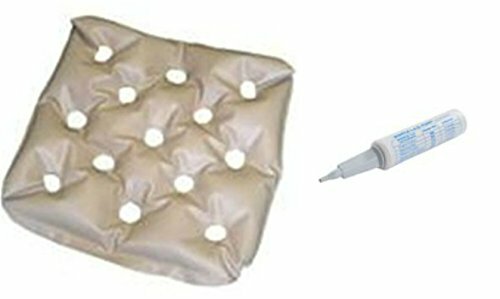 Pressure relieving soft gel is layered over high density foam effectively redistributing body pressure and providing relief throughout back and coccyx areas. 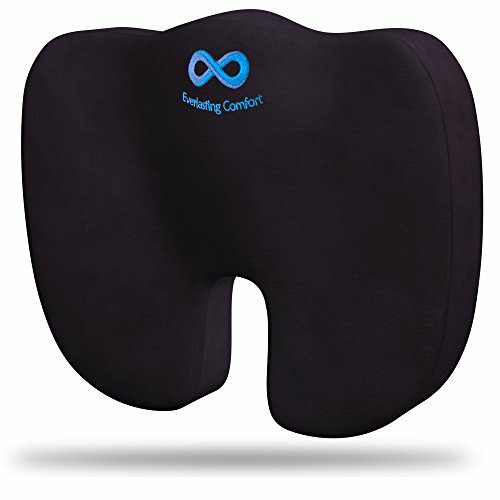 It instantly transforms into a perfect comfortable seat so that you can rest and relax. 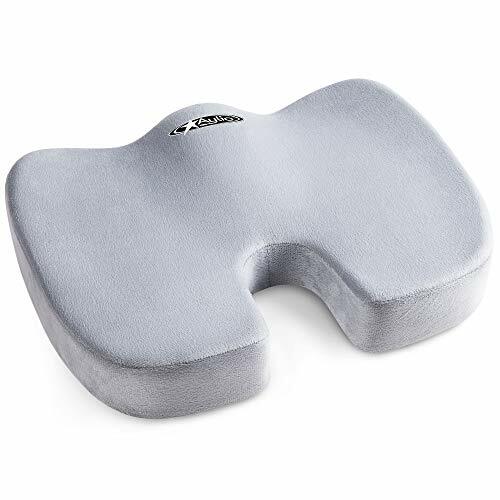 This orthopedic chair pad provides excellent back support and relieves common symptoms that stem from body weight pressing down on the lower tailbone area. Eliminating this pressure can help with sciatica relief, tailbone injuries, back pain, hip pain, and hemorrhoids. This cushion is well suited to the needs of those looking for a little extra support and comfort. Designed for use in seats, wheelchairs, and anywhere else you want to sit in comfort. The durable cushion cover features a zipper enclosure and removes easily for washing. *DIMENSIONS WHEN INFLATED 17.5 x 14 x 2 inches. *PACKED SIZE - 14.5 x 3.5 diameter *PACK WEIGHT - 11 oz. 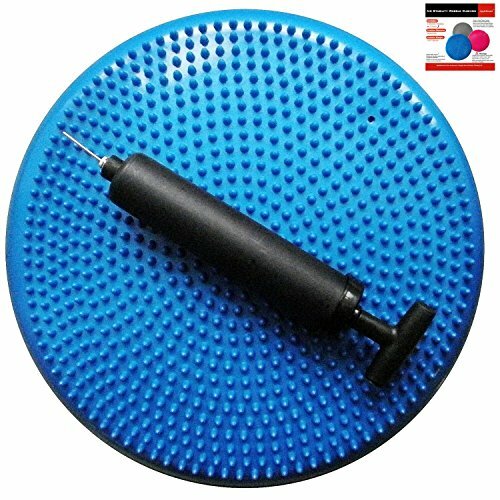 *FILL - 2-inch thick high rebound foam with punched holes. *OUTER LINING - 190T Polyester PVC coated material for water resistance. *CUSHION COVER - Hygienic washable removable linen cloth cover in Black. *SELF-INFLATING AIR VALVE - Twist valve to inflate or deflate cushion, locks in place. 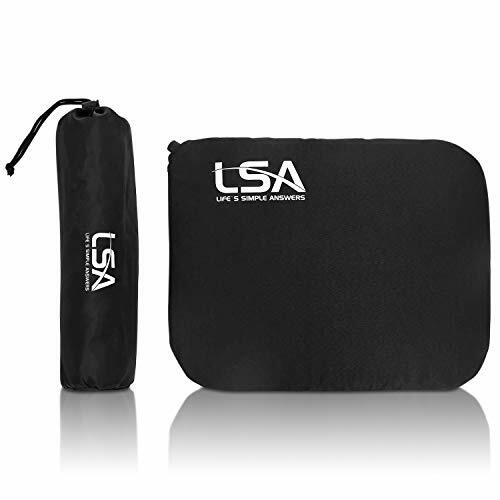 *COLOR - Black shell covering and storage pouch with a Black removable cushion cover with a white logo. 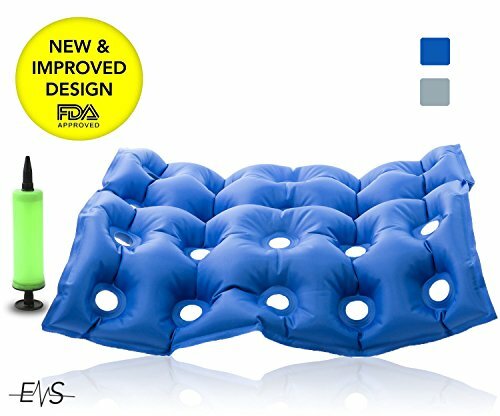 *NOTE - Do not manually over-inflate, forcing air beyond moderate firmness may cause the outer lining to separate from the inner cushion.If you're looking for a gift that's different, practical, and convenient for anyone who would enjoy added comfort, this is a good choice. The durable Mobicushion for wheelchairs is all about helping you have the freedom to function. 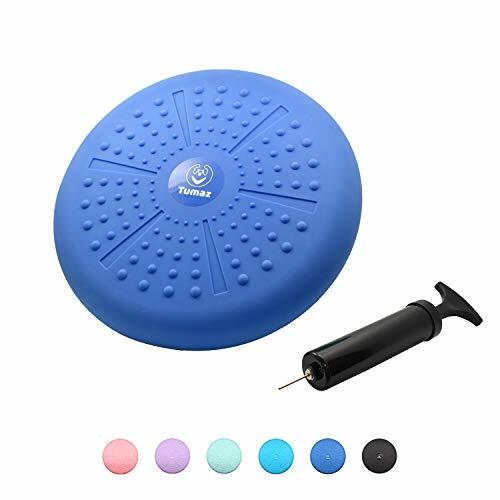 It can keep you mobile if you are dealing with pressure sores, helping to heal wounds and prevent new ones from forming while you use your wheelchair. The alternating air pressure cycle of the Mobicushion can be adjusted to give your body just the care it needs. 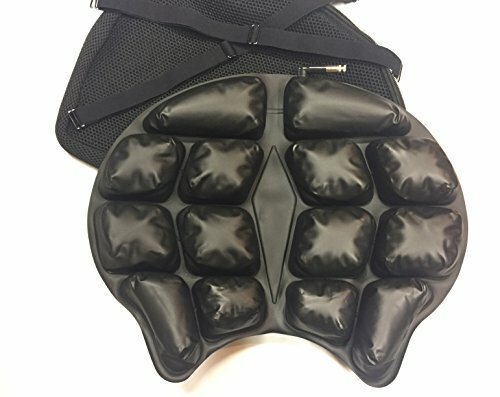 Its one-piece air cell pad is made up of 4 air cells for the air to cycle through and a foam insert supports the thigh area for an extra bit of comfort. It has a weight setting function for making intuitive adjustments and is able to accommodate up to 264 lbs. The two-way polyester stretch over has a non-slip base and is made for comfort while being removable to make cleaning it a snap. 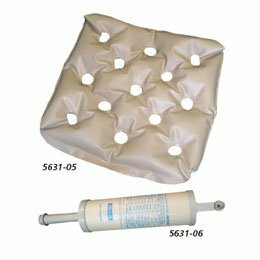 This durable medical equipment is vapor permeable for breathability, water resistant so it won't get ruined by spills, and fire retardant as an extra safety measure. Size: 18 x 17 x 2 in. 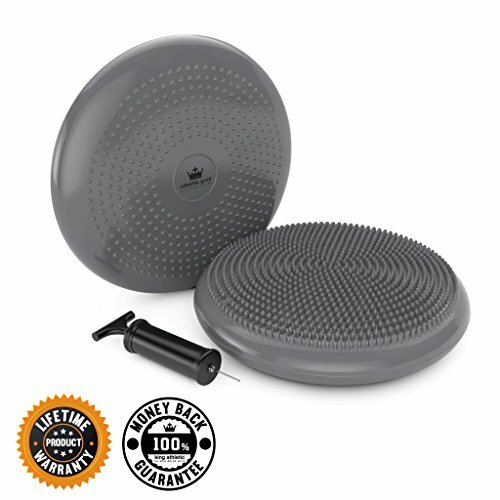 Good for the car, office, home and outdoors! 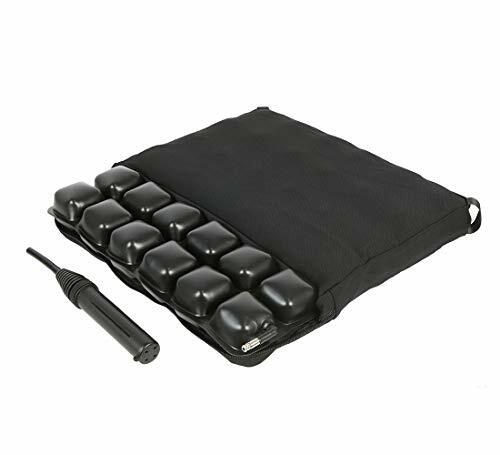 Easy, portable, on the go anywhere carry handle Anti-slip rubber bead base Cushion is washable on low settings and hand washable with cool water. Good for office use and long sitting. Good for the elderly and disabled. Finally! A Comfortable Seating Solution! FEATURES - Great for those who go on long rides or for those that are looking for an all around solution for a more comfortable riding experience. - Absorbs shock and vibration from engine, road and terrain. - Adjusts to your shape for a custom fit. - Surfaced with flexible & breathable stretch material to reduce humidity and sweating. 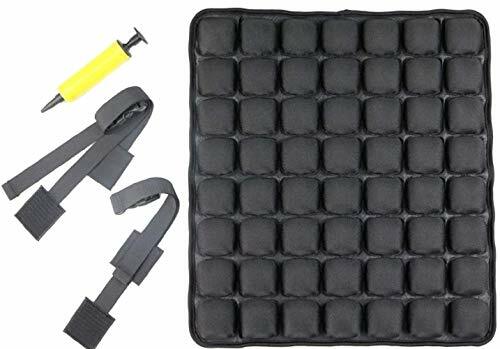 - Mounts easily with two straps that connect under the seat. Comes with full Owners Manual with Instructions. Fitment - 15"x13.5"x 2" (Only raises you .25" when sitting on the cushion) - Cruisers- Harley Davidson's (Touring Models, Sportsters, V Rod, Etc.) - Sports Touring- Adventure Touring - Sports Touring- Large Cruisers Need a smaller size? 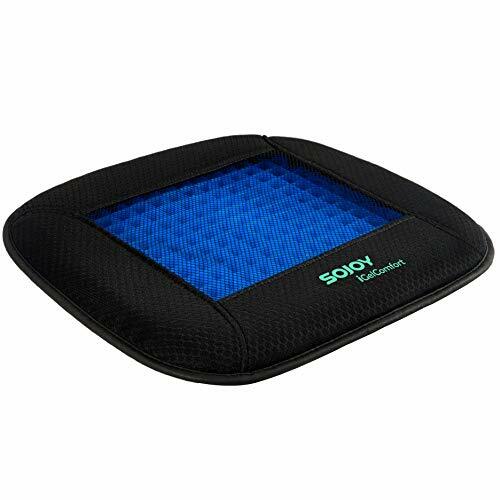 Check out our Sport air cushion and our rear seat air cushion! 440lb weight capacity.Better your life! Click the add to cart button at the top of the page now! 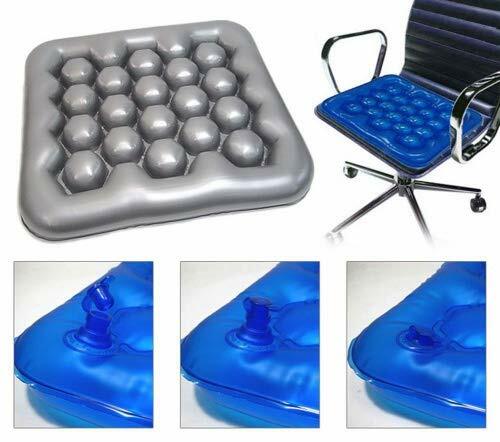 Key Features of Air Inflatable Seat Cushion: Fills the gap to support your back! Foldable, packable design. Instant support. Instant relief. Works with virtually any seating surface. 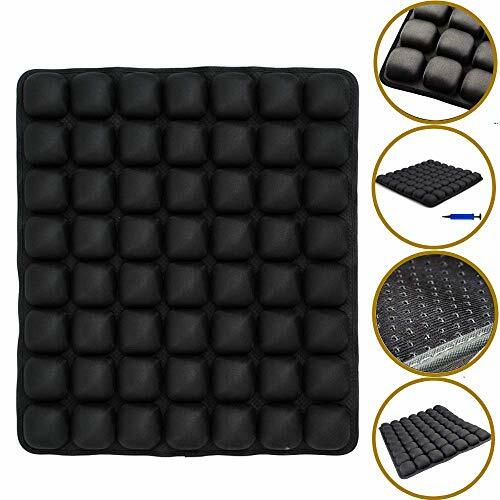 Air Inflatable Seat Cushion is washable. Conforms to your body to help relieve pressure. Relieves pressure and distribute weight evenly. Easy to inflate-product pump helps to inflate the cushion.Deflation is as easy as Inflation. Just pinch the mouth of the valve and squeeze the cushion to let air out quickly. Incredibly supportive. Ideal for Prolonged Sitting. 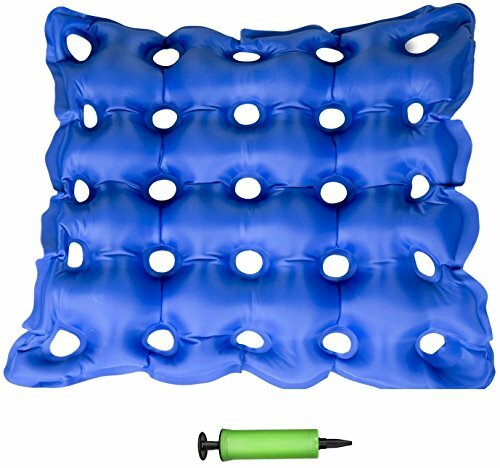 Our Air Inflatable Seat Cushion is the perfect way to make sitting more comfortable, whether you're at home, in the car, or at the office-and it's great for sporting events, too! Specifications: Color: Blue. Size: 43 x 43cm / approx. 17" X 17" in. Maximum bearing capacity: 242 lb Package Includes: 1 x Air seat cushion. 1 x Pump. *CAUTION: Non-slip rubber bottom may stain light colored leather/vinyl. Before use, wash cover in soap and hot water. 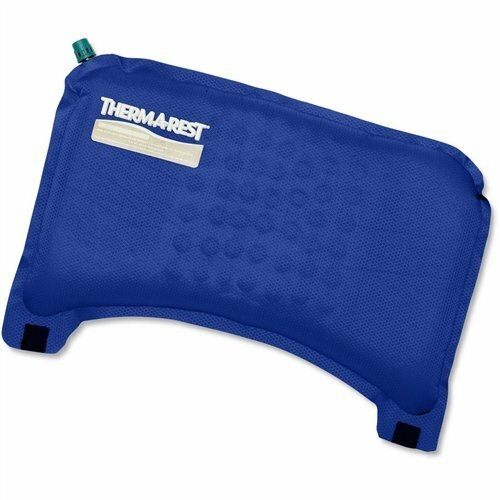 Once the cover is dry, test for color fastness with a towel and hot water.Treat your back with a 100% pure memory foam seat cushion. Recommended by orthopedists and doctors to improve chronic and acute pain by alleviating pressure in strategic areas, i.e. pain in the tailbone, coccyx, back, spine hips, sciatic nerves. Also provides added comfort for women during pregnancy. Versatile design is ideal for most commonly sized office chairs, airplane seats, car seats, stadium seats, benches, etc. Please be sure to check our product dimensions (17 x 13.2 x 2.4 inches) to ensure a proper fit.Optimal density for superior comfort and durability for anyone 100-300 pounds. 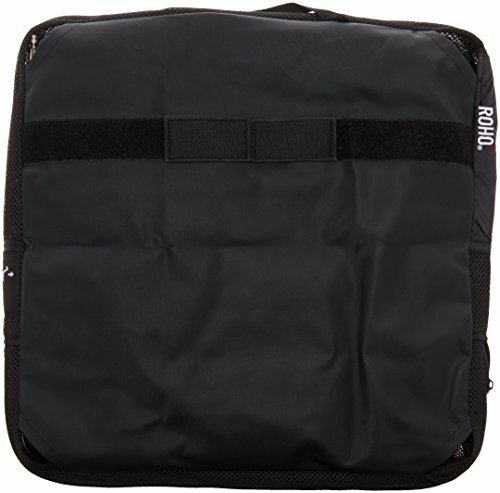 Our removable soft cover is machine washable and slip resistant. 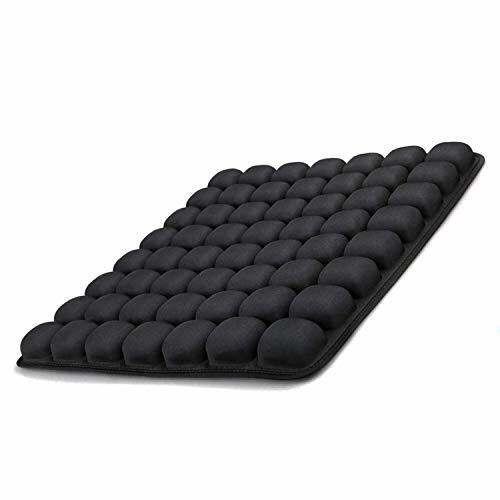 If anything happens to your Everlasting Comfort Memory Foam Seat Cushion or you're unsatisfied for any reason, no need to buy another. We will send you a free replacement or give you a full refund. We take personal pride in delivering ultimate customer satisfaction. We are here to serve you!!.. 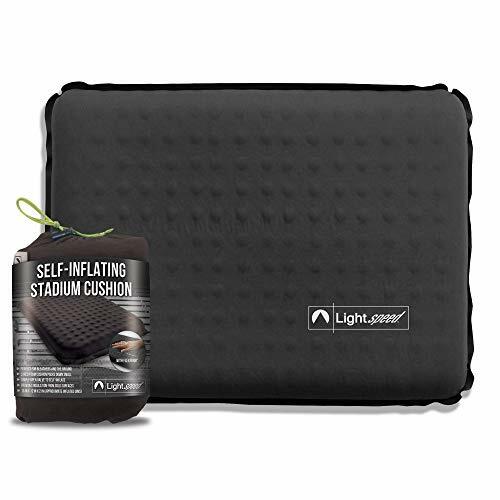 Premium Air Inflatable Seat Cushion 17" X 17"
✅ The Lightspeed Outdoors Stadium Cushion redefines comfort on the sideline. Easily unpack it from the attached carry bag, open the valve, and it quickly self-inflates. ✅ Add some air with a couple of breaths for more firmness. ✅ Close the valve to maintain your customized level of comfort. 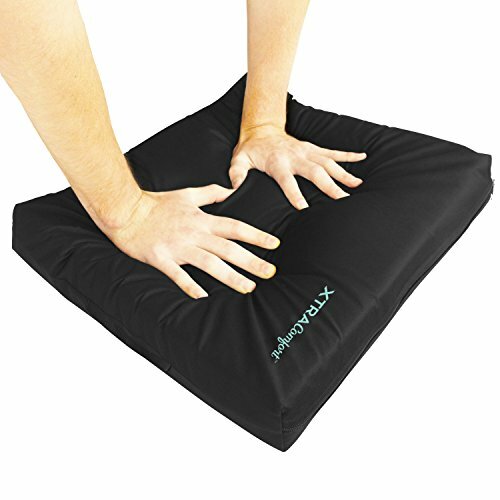 ✅ The FlexForm stretch fabric is soft to the touch, and the inner foam cushion provides a comfortable and insulated surface. ✅ No more cold, hard bleachers! 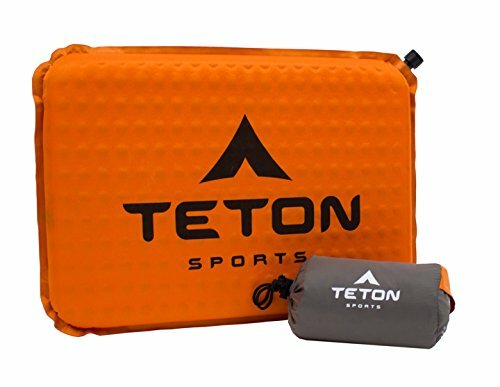 ✅ The compact pack size makes it easy to toss into a bag on the way to the game or while traveling. 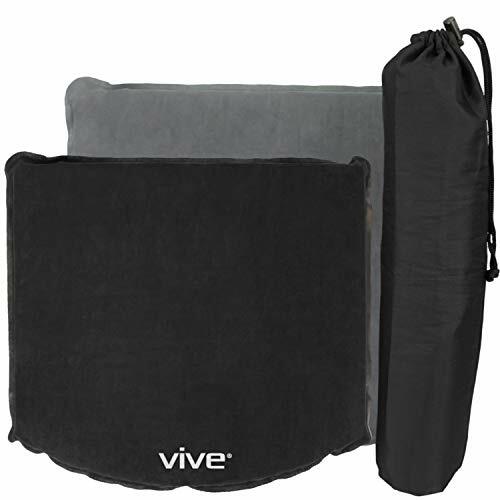 Gel Wheelchair Cushion by Vive Liquid gel in the core allows for unrivaled pressure distribution across your bottom. 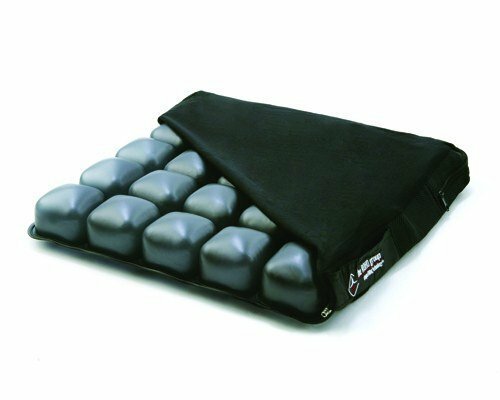 Standard foam cushions simply provide a thin layer of padding while you are sitting. 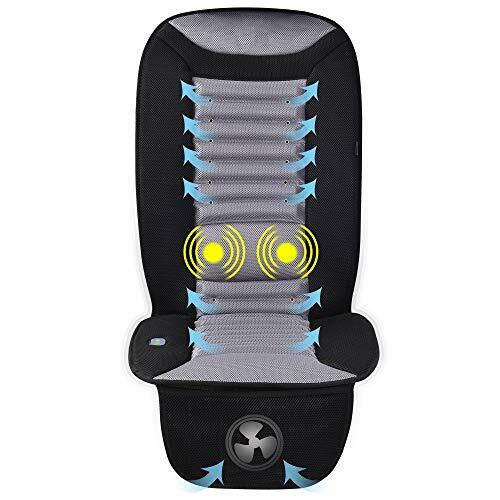 In this cushion, the internal fluid allows pressure to be moved from sensitive, high pressure regions, like the coccyx and tailbone, to regions with less pressure. The removable cover features a nonslip base for added stability and machine washable for easy cleaning. Simply remove the cover with the premium, durable zipper. Durably made, the cover will last for hundreds of washing cycles. 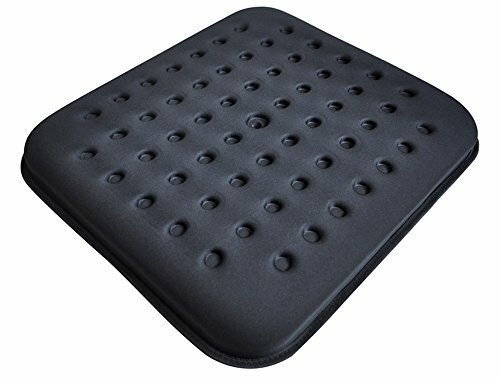 Designed with medical-grade use foam, the cushion is also perfect for anyone who sits long hours at a desk or workstation. 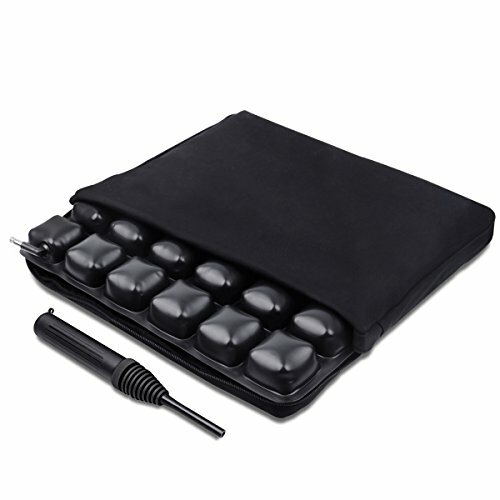 With an ideal balance of supportive foam and contouring gel this versatile cushion will make sitting comfortable again. 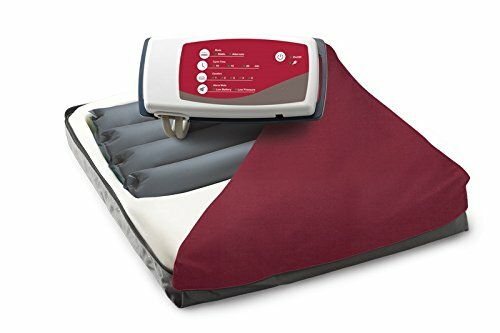 Product Features:Dynamic Fluid Core 4 Layers of Supportive ComfortEasy Cleaning Comfort & Relief60 Day Guarantee Backed by a Vive Health 60 day unconditional guarantee. Order now with confidence. 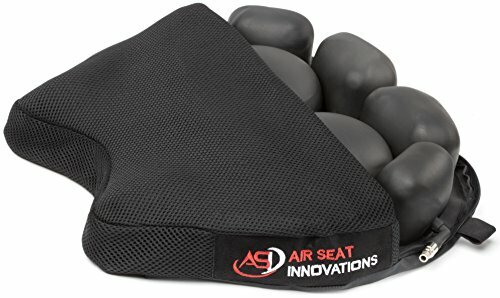 Compare prices on Air Seat Cushion at LiveSaler.com – use promo codes and coupons for best offers and deals. We work hard to get you amazing deals and collect all avail hot offers online and represent it in one place for the customers. Now our visitors can leverage benefits of big brands and heavy discounts available for that day and for famous brands. We try to makes comparison shopping easy with Product Reviews, Merchant Ratings, Deal Alerts & Coupons. Find Deals, Compare Prices, Read Reviews & Save Money.